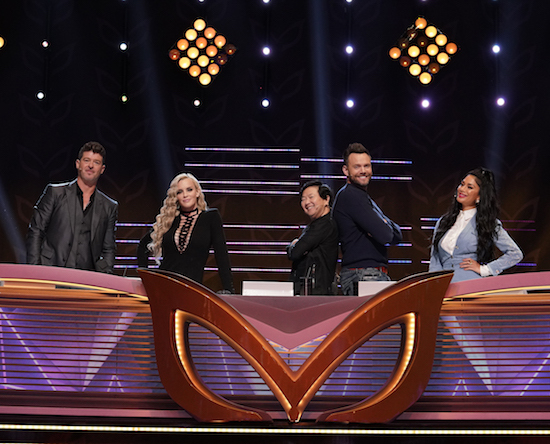 THE MASKED SINGER judging panel has now “met” the 12 celebrities participating this season, which means viewers will get their second performance (and round of hints) from half of the remaining contestants on the Wednesday, January 16 episode. Of course, THE MASKED SINGER is a pretty delightfully bonkers show, and diving into it mid-series—the episodes filmed in 2018, long before its smash television debut—can be a bit jarring. “I feel like I’m already on drugs,” McHale deadpans in the exclusive video below. Check out McHale’s THE MASKED SINGER debut!